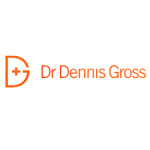 Dr. Dennis Gross represents a line of skincare products. These skincare products are unique to the brand, and all of them have been designed by noted dermatologist and skincare expert Dr. Dennis Gross. Upon visiting the site, you can sign up for their rewards program, which is called the VIPeel Club. By doing so, you can take 15% off your next order. You will also be able to earn rewards, receive special offers, and learn about new products before anyone else. You can shop for products in their Peel+ section, and you can also find a variety of different skincare options. Dr. Dennis Gross also features collections.